Beck, Foo Fighters, My Morning Jacket... Who would you want to hangout with at Hangout Music Festival? Head to our facebook page and tag your favorite band or best friend below the Official Hangout Festival Picture to get registered to win a pair of 3-Day passes and 3 nights in a condo for Hangout Music Festival going down May 15th-17th in Gulf Shores, AL. Winner will be chosen on Tuesday at 3pm! *Note that winner and guest are responsible for ALL transportation to and at the festival. 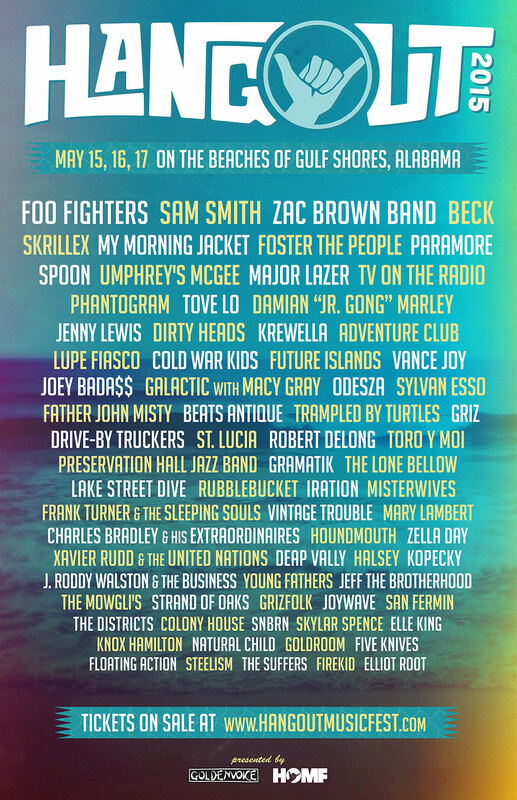 #CD1025Turns25 #HangoutFest"